Concessional Fares are offered to some categories of passengers and the holders of certain concession cards. Infants aged 0-3 accompanying their parent or guardian Free Travel would not be available to say a kindergarten group accompanied by a teacher. 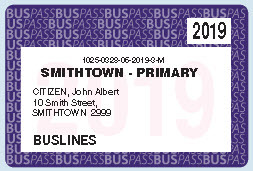 Buslines Group SSTS Student Bus Pass - For journeys to and from school or TAFE. 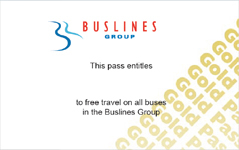 Buslines Group Buslines Group Gold Pass - Free Travel for holder of pass. 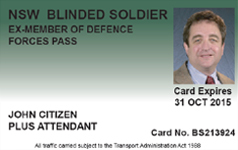 Transport for NSW Concessions Office NSW Blinded Soldier Pass - Free Travel for Australian and New Zealand War Veterans classified by Department of Veterans Affairs (including attendant where endorsed on pass). 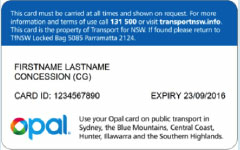 Vision Impaired Persons Pass (NSW and Interstate) - Free Travel including guide dog. Attendant Travels Free when endorsed on pass. 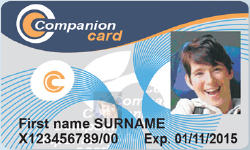 Department of Family and Community Services and equivalent agencies in other States and Territories Companion Card - Free Travel for Attendant. 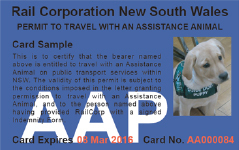 Transport for NSW Concessions Office Assistance Animal Permit - Assistance Animal Travels for Free. NSW Permit essential for everyone except those using an accredited Guide Dog or Hearing Dog. 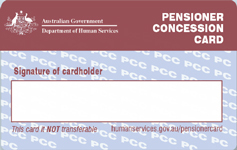 Pensioner Concession Card. Half Fare for Single Tickets or $2.50 for RED. 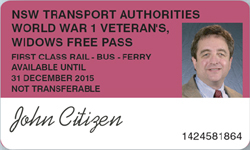 Only valid for card holder, family members on back of pass pay full fare. NSW Seniors Card. Half Fare for Single Tickets or $2.50 for RED. 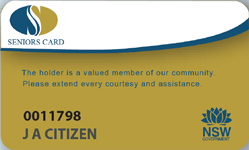 Seniors Card Holders from Other States and Terrorities - Half Fare Only. 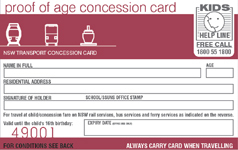 Transport for NSW Concessions Office Transport Concession Entitlement Card for NSW Job Seekers / Apprentice /Trainee / NSW Tertiary Student. Refer to more information below. 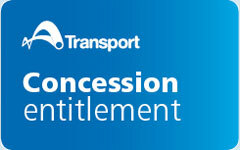 NSW Eligible Job Seekers and those receiving approved Centrelink Benefits are entitled to concession fares. Half Fare for Single Tickets. Back of pass must display Concession (CG) and must be shown to driver when boarding the bus. NSW Apprentice / Trainee - Card is valid up to 31 March of each year. Can be renewed free of charge as long as Apprentice/Trainee remains in an active traineeship/apprenticeship approved by Training Services NSW. Back of pass must display Concession (AT) and must be shown to the driver when boarding the bus. 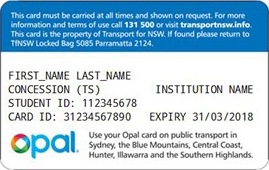 NSW Tertiary Student - This card is available to students who meet the eligibility critieria set by Transport for NSW. Valid for upto 15 months if student remains eligible. Card must be renewed by 31 March each year. 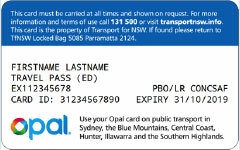 Back of pass must display Concession (TS) and must be shown to the driver when boarding the bus. 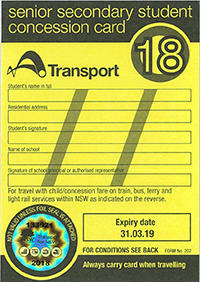 NSW/ACT Senior Secondary Student - This card is available to senior secondary students who meet the eligibility criteria set by Transport for NSW. It is valid until 31 March the following year unless you enter full-time employment. Other Accredited Bus Operator Student Bus Pass Half Fare Concession is payable. 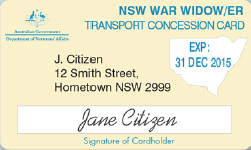 Transport for NSW Concessions Office Card will show the expiry date of entitlement. This card cannot be used for non-transport purposes. Any accredited bus operator For journeys other than to and from school, half fare is payable. 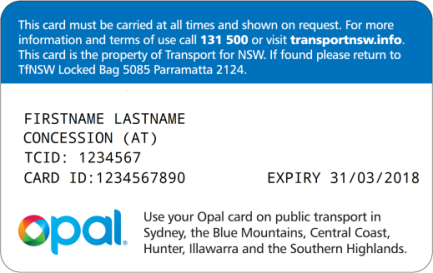 Further information regarding how to apply for the above NSW Concession Cards is available from the Transport for NSW website https://transportnsw.info/tickets-opal/ticket-eligibility-concessions.